As a valued customer of Renown Health Products, we’re always looking for new ways to serve you better. That’s why we’re happy to announce our new Renown Health Products smartphone app where you can place an order, track your order, and receive news about special offers right on your iPhone! 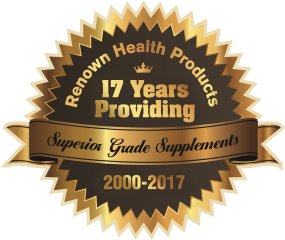 As a special welcome, place your next order using the Renown Health Products app and receive 20% off your order! Just go to the Apple iTunes App Store and download the Renown Health Products Retail Store app. It’s easy with the push of one button! Just click here! Once you download the app, follow the simple instructions to register and click ”OK” to receive notifications, you will automatically receive 20% off your next order! It’s that easy. Plus, we will be adding other exciting features, conveniences, and services for you in the future. It’s just our way of thanking you for being a valued customer. So don’t delay! Go right now to the Apple iTunes App Store and download your FREE Renown Health Products app. P.S. Don’t forget to “LIKE” us on Facebook and FOLLOW us on Twitter! Apple, iPhone, iPad, and the Apple logo are trademarks of Apple Inc., registered in the U.S. and other countries. App Store is a service mark of Apple Inc., registered in the U.S. and other countries.